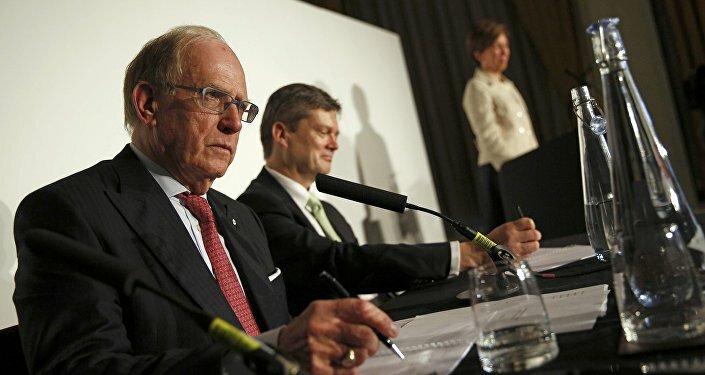 Late last week, McLaren, who is no longer involved in the ongoing anti-doping probe, assumed more illegal doping cases may come to light during a check-up of the Moscow anti-doping laboratory, with the Russian anti-doping authorities (RUSADA) welcoming WADA’s request for data and “preparing to provide the information”. A group of Russian sportsmen have filed a defamation suit against Canadian lawyer Richard McLaren, who, tasked by WADA, authored a report on the existence of a doping system in Russia, the Russian newspaper Sport Express wrote. The group, led by Veniamin Bout, the former president of the Russian Rowing Federation, believe they have suffered unjustly from the publication of McLaren’s report and seek to sue him 6 million Canadian dollars (about 300 million roubles) in compensation. It has been noted that the documents were handed to the Supreme Court of the Canadian province of Ontario as early as July 2018, but according to local legislation, plaintiffs must inform the defendant themselves about the start of the court procedure; and it took the Russians half a year to do so. On January 19, McLaren assumed that a check-up of the databases of Moscow’s anti-doping laboratory would reveal new cases of Russians using prohibited substances. "It's pretty much anyone's guess as to what that number is”, McLaren said when asked how many doping cases he expected the new data to reveal. "My thinking would be in the 300-600 possible range”. WADA had earlier demanded that the data be handed over to finalise its probe into the 2011-2015 scandal, which led to Russia’s athletes being stripped of the first spot in the medal count at the 2014 Games, barred from the 2016 Rio Olympics, and suspended from the 2018 Winter Olympic Games. The two-part report compiled by McLaren was based on the data provided by Grigory Rodchenkov, the former head of a Russian anti-doping lab who fled the country for the US in 2016, where he became a WADA informant. In September, WADA conditionally lifted a ban on the Russian Anti-Doping Agency (RUSADA), laying the groundwork for its reinstatement, while one of the conditions for it was the provision of access to the data by the end of 2018. When a WADA team arrived in December Russian authorities pointed to the blemishes in the certification of their equipment under Russian law and a December 31 deadline was missed. "That got resolved over the Christmas period and now they are preparing to provide the information and are in the process of doing so”, McLaren, who is no longer involved in the ongoing probe, told German broadcaster ARD last Friday. The recent defamation lawsuit is not the only one filed throughout the probe. Back in February 2018, three Russian biathletes pushed forward with a $30 million lawsuit against Rodchenkov. In April, the controversial informant was forced to withdraw part of his testimony after it was found to contradict his earlier claims. The following month, the Russian Investigative Committee handed WADA exhaustive evidence discrediting the informant's testimony.